Unwritten rules have always been, and always will be, a part of professional sports. While Major League Baseball may be considered the unofficial king of unwritten rules, the National Football League isn’t far behind. Unlike in baseball where a slip up can simply cost you a fastball to the ribs, a slip up in football can not only cause you some physical pain, but in most cases will cause some serious financial pain as well. Here is a look at six unwritten rules of the NFL that have and will continue to stand the test of time. The list of league-wide rookie duties is expansive and varies by team. Some of the more common rookie duties include carrying the veterans’ pads off the field, getting towels for the veterans in the locker room, providing drinks and snacks for the veterans during position meetings, providing training camp entertainment in the form of rookie talent shows and/or singing in front of the entire team, and allowing the veterans to give them less-than-flattering haircuts. Last but not least, who could forget the long-standing tradition of rookies picking up the tab on a ridiculously expensive dinner? Surely Dez Bryant hasn’t forgotten. This is one of the more obscure and less known unwritten rules of the NFL, but you are considered a rookie by your teammates and coaches until after the third game of your second season. Official team rosters, websites, and football cards may say differently, but this is a rule that is recognized league-wide. Probable: the player is definitely playing. Questionable: the player is more than likely playing. Doubtful: the player is likely out for the week. This unwritten rule is in place mostly to keep players from looking foolish. This can include anything from celebrating a touchdown run when trailing by a large margin to celebrating a big hit downfield on a play where the offense gained 40 yards. Breaking this rule is a big no-no in the NFL world. This includes the locker room, practice fields, meeting rooms, cafeteria, training room, and weight room. Basically anywhere official team business occurs. Social media has made it easy for players to slip up and post or tweet something that was not meant for public consumption or could cause themselves or others in the organization to face disciplinary action. Let’s face it: most people do not want to know the kind of things that are said in an NFL meeting room. 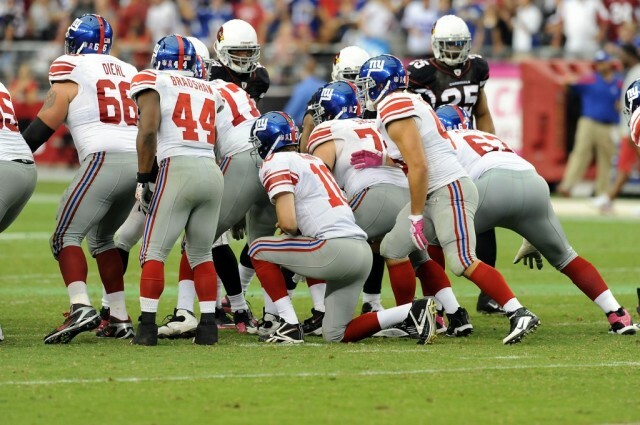 This rule was brought into the spotlight in 2012 when the Tampa Bay Buccaneers, led by head coach Greg Schiano, bull-rushed the New York Giants offensive line as Eli Manning was taking a knee to end the game. Giants head coach Tom Coughlin had harsh words for Schiano during their post-game handshake, and Manning called the move a blatant “cheap shot.” This is the type of unwritten rule infraction that usually results in a physical retaliation of some sort.